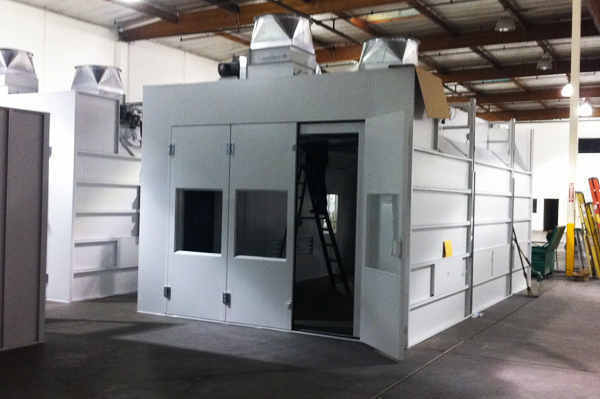 RelyOn Technology builds and installs custom fleet spray booths. 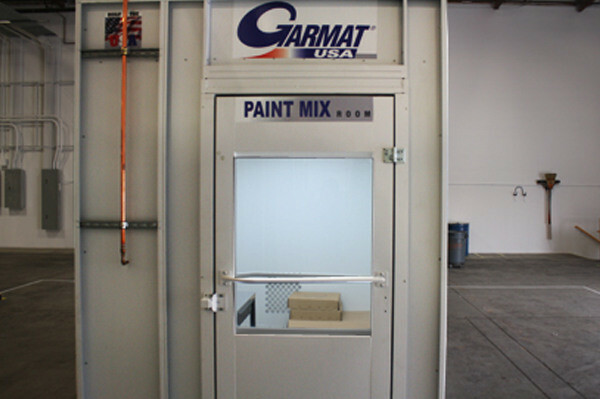 By evaluating the clients needs and workspace we design a custom fleet collision repair booth for maximum efficiency. Here is a case study on one of our clients. 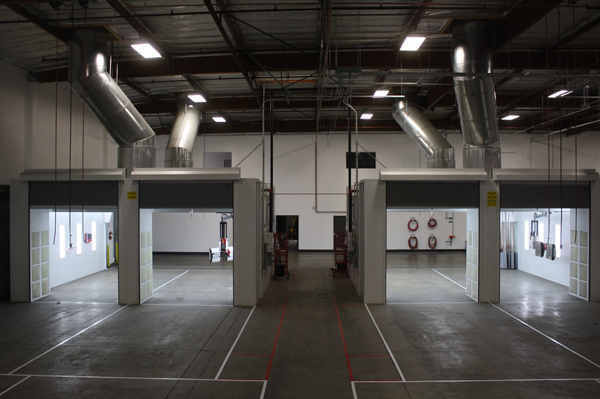 The facility was built for Velocity Collision Centers of Los Angeles, California. 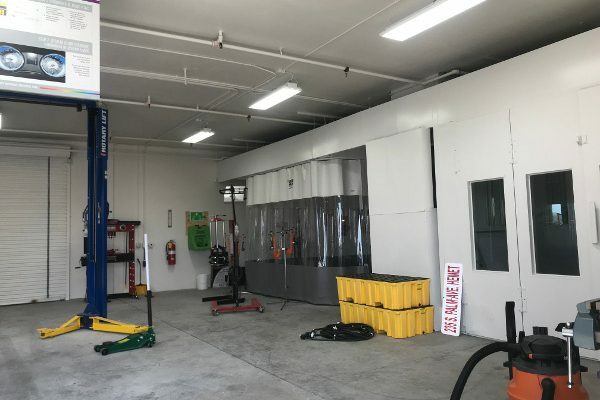 The challenge was to build a high production fleet spray booth for a auto collision repair and paint shop to maintain the fleet of vehicles that Hertz Rentals has on site for rental use at Los Angeles International Airport. 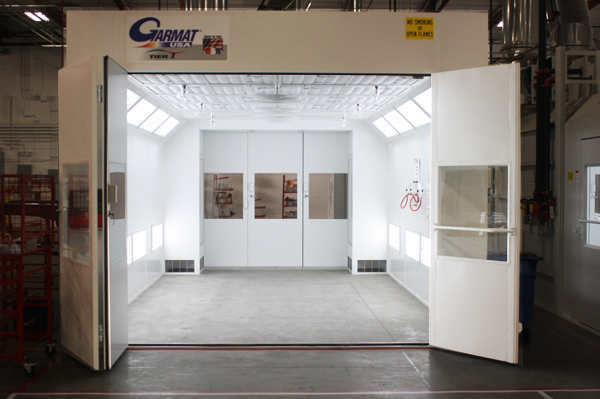 In-line production refinishing facility including the installation of two – GARMAT CTOF 24’ wide x 24’ deep drive thru semi down flow prep spray booths with overhead track IRT infrared curing systems, three GARMAT 27’ Tier One semi down flow heated spray booths with AQMD approved Low NOx 1 million BTU burners, and one GARMAT in-line paint mix room. What makes us different from other competitors? 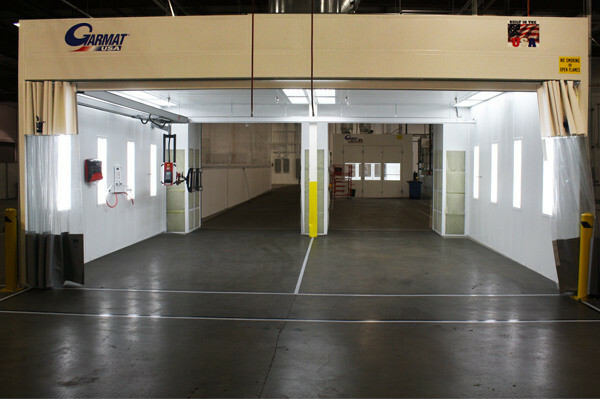 Equipping a facility with a finishing system for fleet collision repair is a challenge in itself. But the formidable challenge RelyOn faced was the overseeing of all the permits and inspections required to bring this facility on line, including the City of Los Angeles’ planning, building, mechanical, electrical, plumbing, and fire departments. 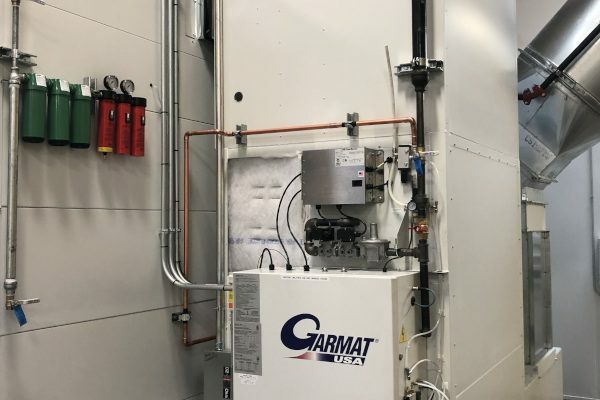 Additionally, RelyOn was delegated the task of completing all South Coast Air Quality air pollution permits for this facility, including permits to construct and operate the equipment. Each trade required various inspections, and all of these inspections had to be coordinated as each trade was completed. 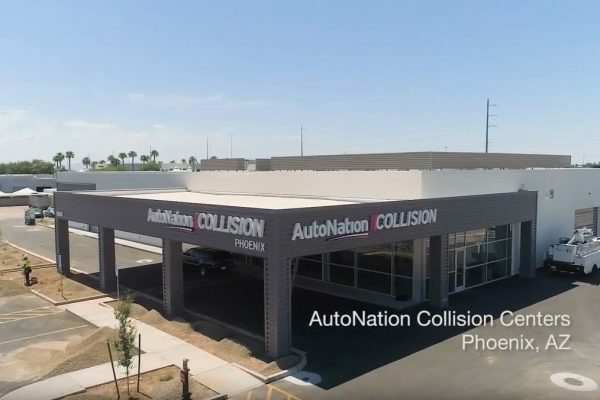 Given only a 6 month window from ground breaking to grand opening, RelyOn Technologies took each hurdle one at a time, and completed the project on schedule, on time, and on budget, making this another of RelyOn’s successful installations for the owners of Velocity Collision Centers.